Welcome back to Mealtime Monday! 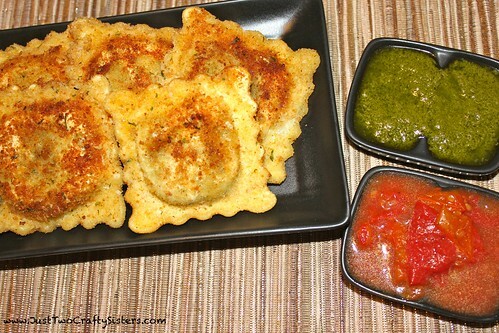 Today we have a really quick and easy meal that can be made as part of a dinner or as an appetizer. I figured it made since to post an easy meal this week while we are enjoying vacation in South Lake Tahoe. 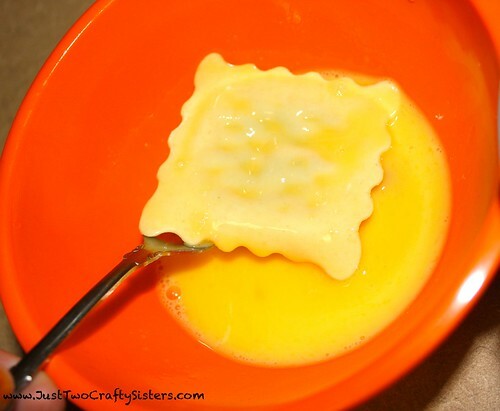 Crack your eggs into one bowl and whip. 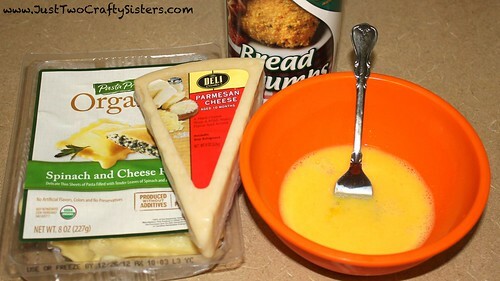 Pour a nice heap of bread crumbs in another bowl and add about 1/4 cup of grated Parmesan cheese. Mix together. 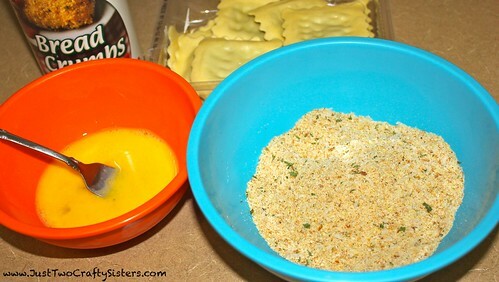 then into the breadcrumb mixture to coat. Heat cooking oil in a large skillet over medium-high heat. 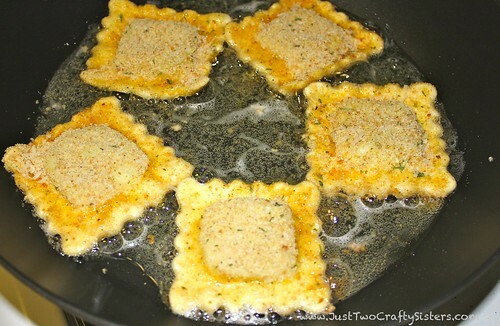 Add the breaded raviolis. Cook until brown, then flip to other side and repeat. Remove from pan onto a paper towel to soak up excess oil. Serve and enjoy. 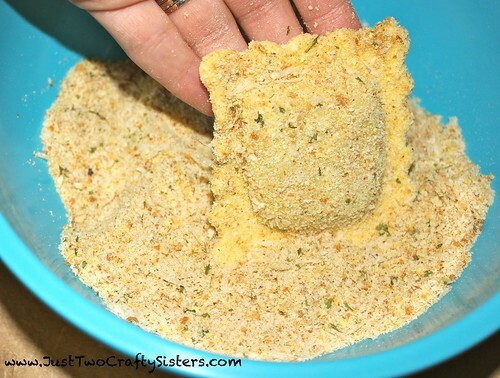 I had pesto and a roasted tomato sauce and thought they made great dipping sides.